San Francisco is one of America’s most stylish cities and requires a cute wardrobe to match. The seasons can vary, from chilly winters to warm summers. 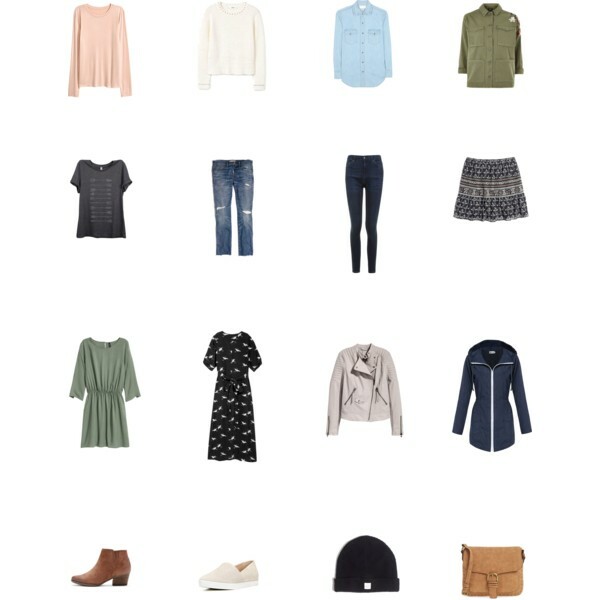 Whatever time of year you’re headed to Fog City, here’s what to wear in San Francisco! 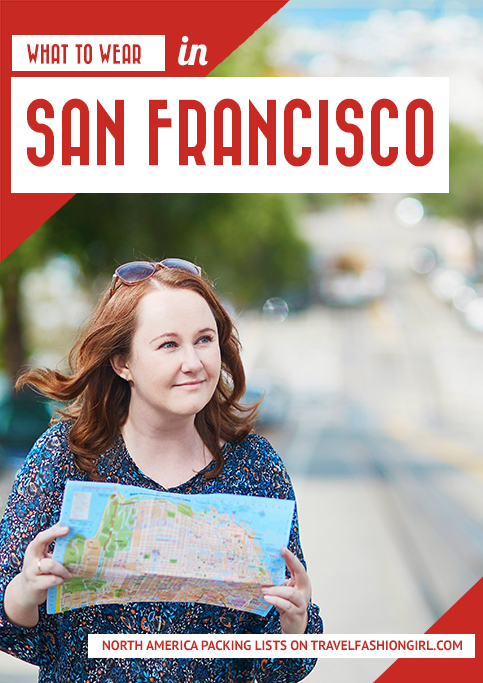 We all know San Francisco as a mecca for tech start-ups, art, amazing food, and memorable music festivals. But did you know it’s also one of the most fickle cities in regards to weather? One minute, it’s sunny and warm while you’re picnicking in Mission Dolores Park. The next, Karl (the lovable name locals have given to the inevitable fog that can creep over the city at any time) arrives and you’re running from a rainstorm! Always, always, always check the weather forecast before your trip. 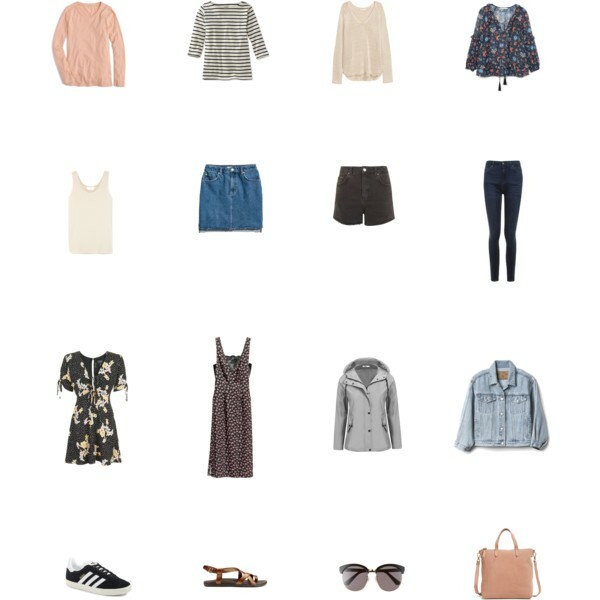 Once you’ve researched the weather, you can focus on creating a capsule travel wardrobe, which should easily fit in a carryon suitcase with the help of packing cubes to compress your clothing. The incredible vibes of the city paired with the flip-flopping weather make fashion a little more complicated in this part of California.This can make it difficult to determine what to wear in San Francisco. That’s why if you’re heading to NorCal, check out this packing guide to prepare for all seasons of the year. No matter what time of year you visit San Francisco, you’re going to need a jacket. One of our readers confirms that San Francisco is rarely warm in the summer except for an occasional heat wave. September is typically way warmer than other summer months. From light cardigans to leather jackets to rainproof jackets, carry one of these on you at all times. A cardigan is great for warm days, a rain jacket is good to have year-round, and a leather jacket for the moderate to mild days in between. Since you’ll be spending a fair amount of time trekking the city or taking the metro, you’ll need a big bag for all of your stuff anyway. 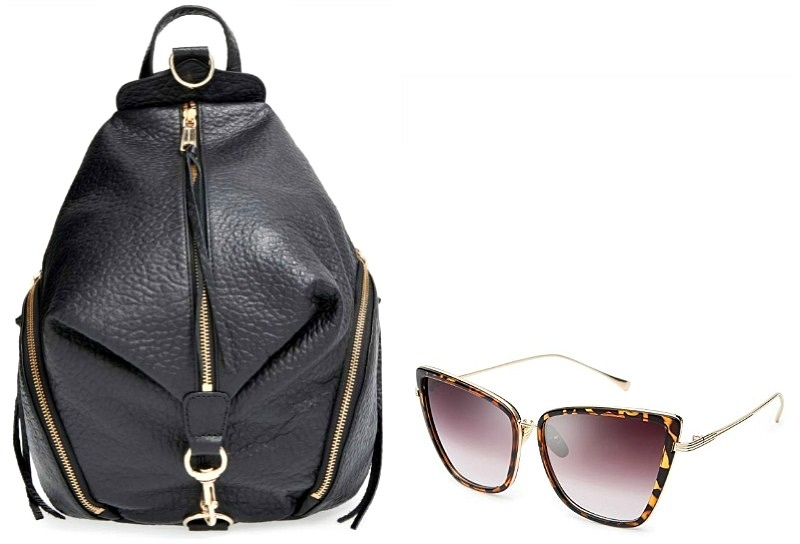 Just make sure that boho bag is big enough to store your jacket when the sun starts to shine. Speaking of diversity, if you visit during warmer months, you’ll still need to be prepared for changing conditions when determining what to wear in San Francisco. While flip flops and espadrilles may work on some summer days, always bring something for cooler weather. Sneakers for everyday wear are the standard. While this city may only be 7 miles long, you’ll find yourself walking around a lot more than you think. So whatever you do, make sure that you bring comfortable shoes! It’s not uncommon to carry a pair of athletic shoes with you considering the health-conscious vibe ever-present in the city. If you have a long day ahead of you in the Castro, feel free to change into a pair of Adidas or Nike shoes while you take the Muni back to your hotel. Here’s a list of comfortable and cute walking shoes for travel! Having a proper bag is paramount when visiting San Francisco. Luckily, cute purse backpacks made a comeback. These give you ample space to fit that jacket, a camera, your phone, extra pair of shoes, and any other necessities you need for touring. When you’re out on the town at night, go for a clutch or cross-body bag. Crime in San Francisco is high, so keep your wits about you and hold that bag tight. Read these tips on how to keep your valuables safe when you travel! There’s something about living in a trendy city that calls for a hat. I’m preferential to beanies myself, but don’t be afraid to get creative. Boater hats, embellished beanies, and baseball caps (go Giants!) are always a great go-to option. But if you’re feeling super trendy, try the latest fiddler cap or beret to look and feel like a major fashionista. Don’t forget, San Francisco is the ultimate shangri-la for hippies and free spirits. If you ask a local what to wear in San Francisco, they’ll likely recommend jewelry and accessories as a must. Etsy-inspired jewels, natural gemstones, hemp bracelets, and boho bangles are all the rage. Feel free to layer your jewelry or go for a big statement headpiece. The more unique, the better! Finally, pair every outfit with an incredible pair of sunglasses. Don’t be afraid to get a little weird here. We love our Ray Bans and Quay sunnies as much as the next girl, but a pair of vintage cat eye frames from Pared Eyewear or kaleidoscope glasses from h0les will fit in well in offbeat San Francisco. Springtime is probably the most inviting time to visit San Francisco. The weather is tepid and stable, the temperature is pleasant and hotel prices drop a bit (though it’s still pretty expensive). Sure, spring brings plenty of cloudy weather with its fair share of springtime showers (mostly in the month of March and early April). Temperature highs may never go higher than the mid-60s, but it also doesn’t dip below the high 40s either. One of the great things about San Francisco is that you can be anyone you want to be! Hippie, preppy, chic, or witchy, you can wear any style all year long. But if you’re dressing for the seasons, do as the locals do! San Francisco’s appreciation for all things green and eco-friendly means that nature is of most importance. Earth tones, floral prints, and natural stones and gems are the perfect outfit elements when visiting the city. However, don’t be afraid to add some bright pops of color to outshine Karl. Despite its warmth, you’re still going to need to dress in layers. Skirts with high boots and socks, maxi dresses, and long sleeve shirts are always a safe bet. If you’re wearing a particularly radical outfit that bares a little more skin than usual, be sure to bring a jacket with you. My personal favorite is a vegan leather jacket. It matches the grit and edge of the city and goes with just about every outfit! When in doubt, go with some typical street wear. Clean yet comfortable sneakers and a graphic tee with some ripped jeans will fit just about any occasion in the big city. You can even go from street to chic by simply wearing a fancy blouse with those jeans or adding embellished booties to your look. Since the temperature drops a bit at night, you’ll want to bundle up. My go-to outfit in a new city is all black everything. Black pants, black booties, and a black blouse (because you can’t go wrong with a chic black outfit, right?). But as I said above, keeping it weird is totally legit here. A long jacket with a fur trim, high-waisted pants with a graphic crop top, and a beanie would be equally as fashionable and warm in the evenings. And while you can head to the Marina District for a chic night out with a fancy cocktail dress and heels, a night in grunge in the Mission is just as fashionable. Weather in the city of SF is very different from the surrounding cities-especially during summer time. If you are headed to the city and wine country you will have to pack very different for both places. The warmer it gets in the east bay the more fog is pulled in to San Francisco. July and August are notoriously cold and foggy in the city. Aside from a few lucky nice days, the typical “summer day” only has sunshine from about noon to 4pm when the fog rolls back in again. You can wear a leather jacket at night all “summer” long. There’s a lot going on in San Francisco during the summer. Music festivals like Phono del Sol and Outside Lands are buzzing, locals are taking day trips to wine country, and it’s all about connecting with nature at the beach or in one of San Fran’s many parks. That means you’re going to want to look super cute at all of these outdoor occasions. There are plenty of lookbooks for each of these occasions on their own, but there are a few general basics to abide by. Throw on a funky hat, retro sunglasses, some awesome hair accessories or hair color, platform sneakers, or exotic jewelry to fit in with the locals. If you don’t have anything funky on your own, head to Haight and Ashbury for some vintage clothing and offbeat threads. 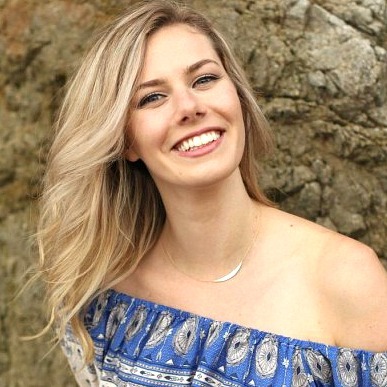 Here are a few tips on what to wear in San Francisco in summer! Don’t let the coolish weather or Karl fool you: wear sunscreen! Most girls avoid heels due to the hills but the girls who can’t live without opt for heeled boots, wedges, and block heels. September- early October is the nicest time of year. 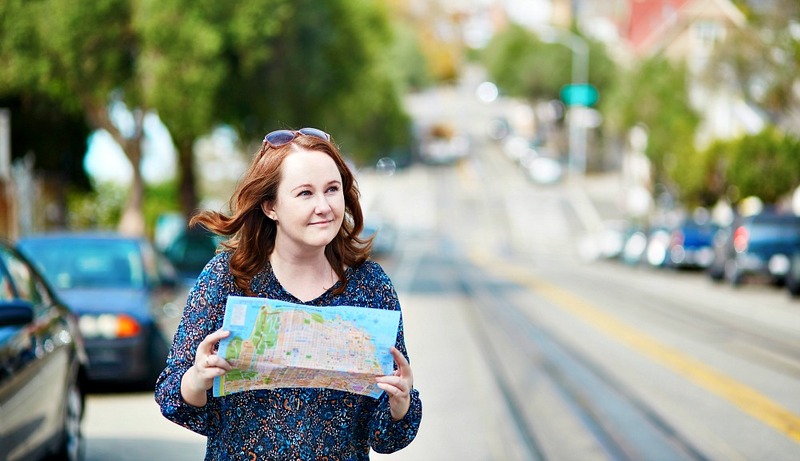 Lucky for us travelers, the temperature doesn’t fluctuate that much in San Francisco in fall. Highs from the summer carry over into fall with temperatures ranging from the mid 70s to the low 60s. Lows are incredibly comfortable in the mid 50s. But what fall lacks in temperature variation it makes up for in the unpredictable rainfall. September starts off incredibly dry, but don’t be surprised if most of November is very wet and cloudy. Fall is the time of year that the entire country gets into the spirit of wearing darker earth tones. But no one gets more into this theme than the West Coast, mostly because we don’t have defined seasons like the East Coast. Maroon, olive, eggplant, burnt orange, sienna, and royal blue are perfect hues for this time of year. Coy fabrics like knits, cashmere, flannels, and thermals are also great to wear around the city. You might notice that accessories start to make more of an appearance now than previous seasons. Funky jewelry, hats, and sunglasses are still all the rage. But now, you’ll also find locals incorporating scarves, umbrellas, and gloves to keep warm and look incredibly chic. You can never go wrong with an infinity scarf and pair of knit gloves to go with just about any outfit. Locals might be used to wearing sneakers and sandals this time of year, but now is the time to bust out those boots. It might still be a little too warm for thigh highs, but booties and rain boots are perfect for the fall. 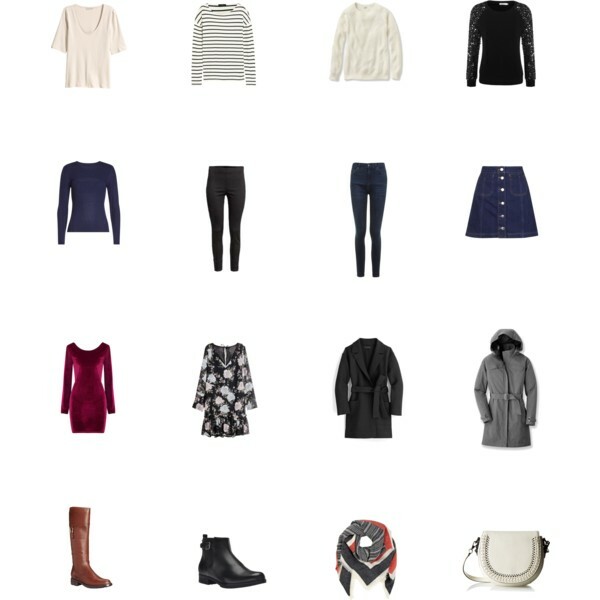 It’s probably no surprise that winter is the wettest season of them all, which will impact your decisions on what to wear in San Francisco. With average rainfall lasting about 30 days, now is the time to bust out the rain boots and the super cute umbrellas. Luckily, winter in San Francisco is more wet than it is cold. Similar to springtime, lows don’t fall below the mid 40s unless it’s an abnormally cold year. Even the highs can get close to the 60s. If you’re traveling from the East Coast or a typically cold climate, leave your coats and parkas at home. If you’ve noticed, winter’s lowest temperatures are only 10 degrees different than summer’s lowest temperatures, so it’s not particularly cold. But that doesn’t mean you shouldn’t dress like you’re in a winter wonderland! San Francisco’s giant Christmas tree at City Hall and Pier 39 add to the wintery spirit, despite the fact that you could get away with wearing leggings on a sunny day. Though it’s not horribly cold, you’ll notice locals wearing an array of jackets that range in style and warmth. 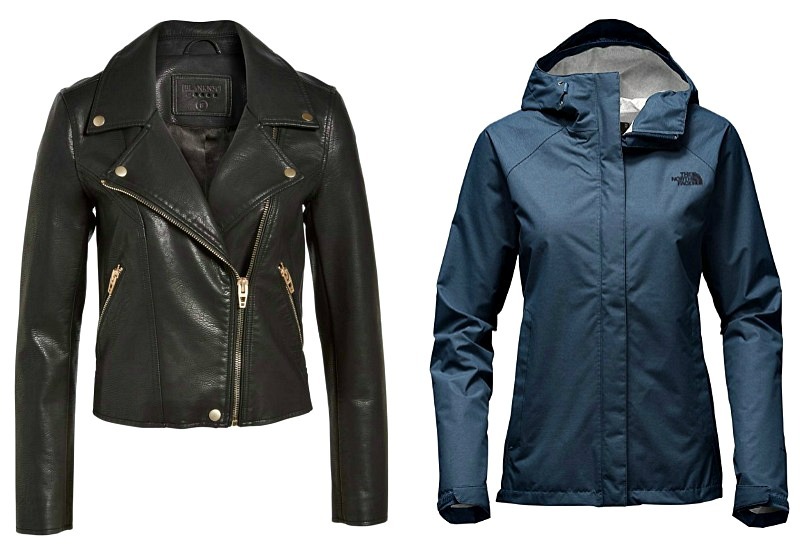 Puffer jackets, pea coats, sweaters, leather jackets and coats are all go-to picks this time of year. You’ll also find locals wearing darker hues like navy blue, brown, black, red, green, and purple. When you’re wondering what to wear in San Francisco, get creative with your winter accessories. All of these layers mean it’s easy to blend in, but that’s not the name of the game in San Fran! A scarf with a funky pattern, bright beanies, a really cool umbrella, or outrageous boots will help make you stand out a little bit more. During holiday season, feel free to get as sparkly and spirited as possible, especially in the evening. Sequined cocktail dresses and velvet mini dresses are really trending right now. Pair it with a beautiful coat and black tights to keep warm. What are your tips on what to wear in San Francisco? Share in the comments below! 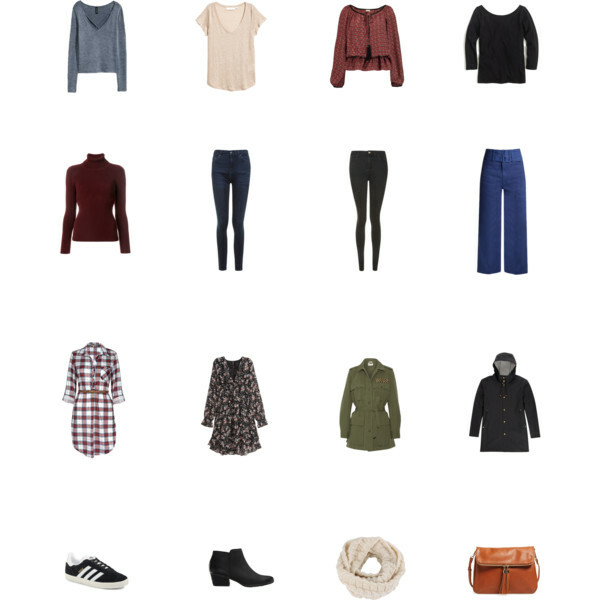 We hope you liked this post on what to wear in San Francisco. Please share with your friends on Facebook, Twitter, and Pinterest. Thanks for reading!